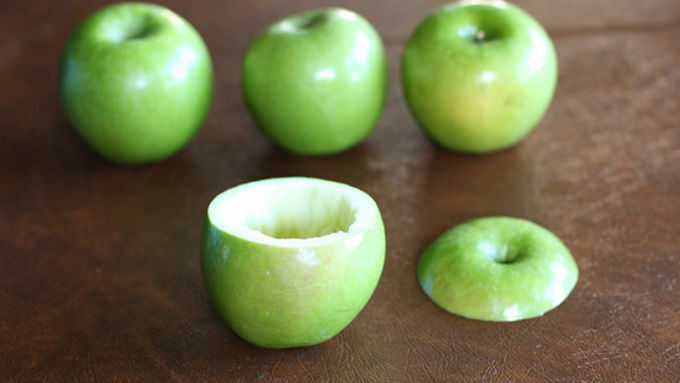 Lay strips of the dough on top of the apple. Then take one new strip at a time and alternate weaving it over and under the pie strips already in place. Repeat until the top of the apple has been covered. 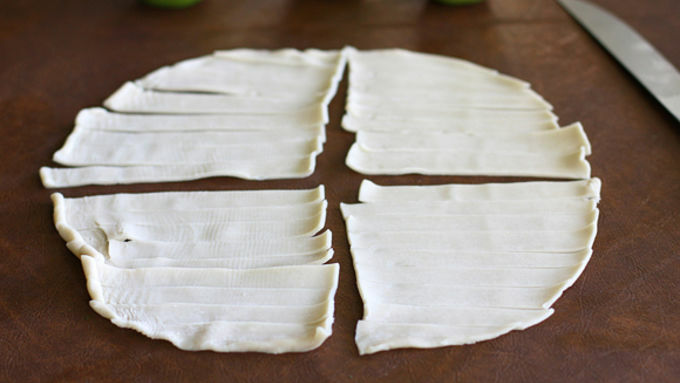 Trim excess pie crust around the edges with a knife. Lightly brush beaten egg over the top of each crust. 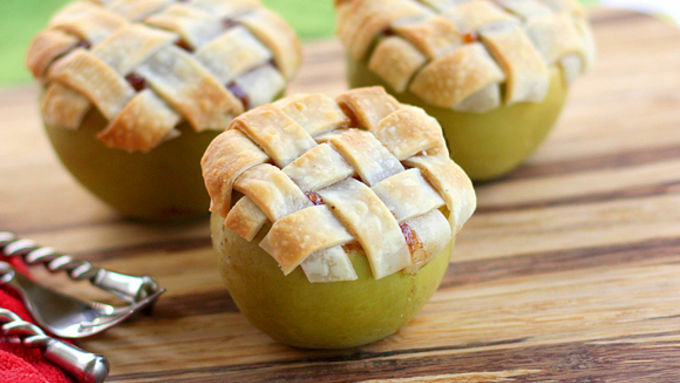 Mini apple pies with lattice crusts, baked inside apples. Ever see anything cuter than this? Everything's always more fun in a mini-version. For instance, I love apple pie, but to make an entire apple pie is a little bit too much of a commitment for me. 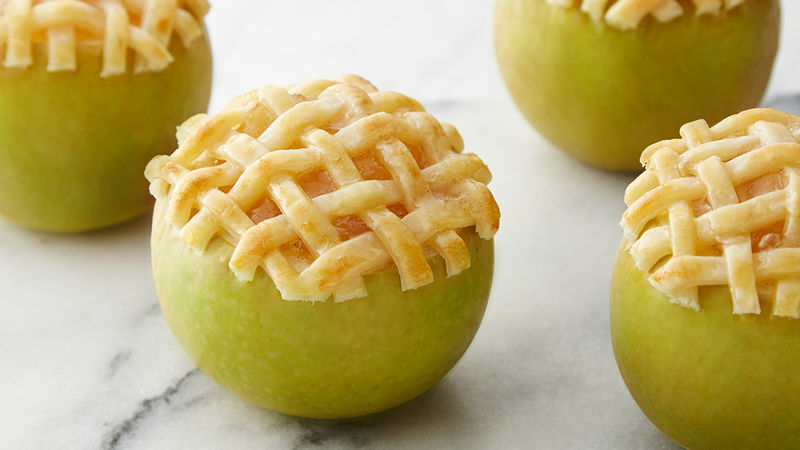 These Apple-Lattice Pie Baked in an Apple are perfectly and naturally proportioned –in edible serving dishes! Just take it step-by-step, and you'll see how easy these are to assemble. 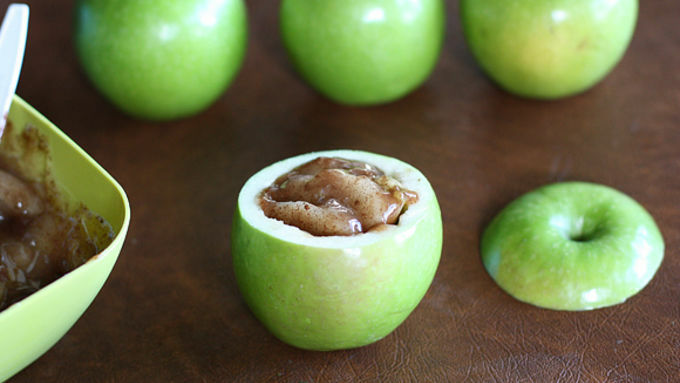 For these mini apple pies I like to use the Granny Smith apple variety because they hold up well. 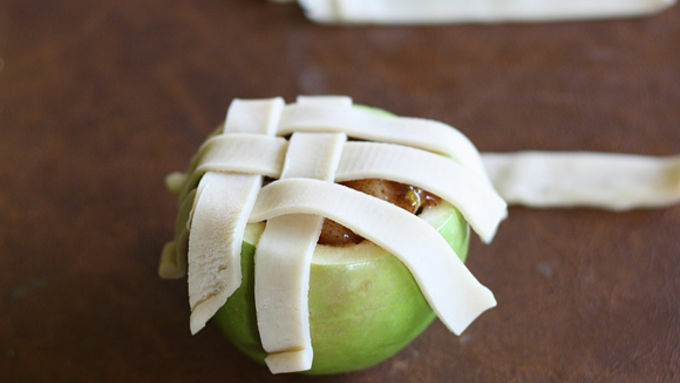 When finished, these Apple Lattice Pies Baked in an Apple are golden brown and smellin' good. I couldn't wait to take a bite of these warm bubbly mini-pies!